TWO THUMBS UP (CHUNG FUNG CHEH) director Lau Ho Leung directed Emperor new film A PENNY (HAN KEI POR ONG) starred Daniel Wu (Ng Yin Cho). Wang Qianyuan, Michelle Wai Sze Nga and Jessie Li (Chun Xia). The production began in November in Jiangmen and officially announced its wrap two days ago after over two months. The film concept poster was released. Ng Yin Cho and Wang Qianyuan's faces were hidden behind roughly made masks. The team spent over a quarter of the production after midnight. Director Lau Ho Leung was extremely demanding for real action, as Ng Yin Cho and Wang Qianyuan were almost injured several times because their fighting was too real. In the intimate stills, retro sets and costumes reminded people of the 80s and the 90s. 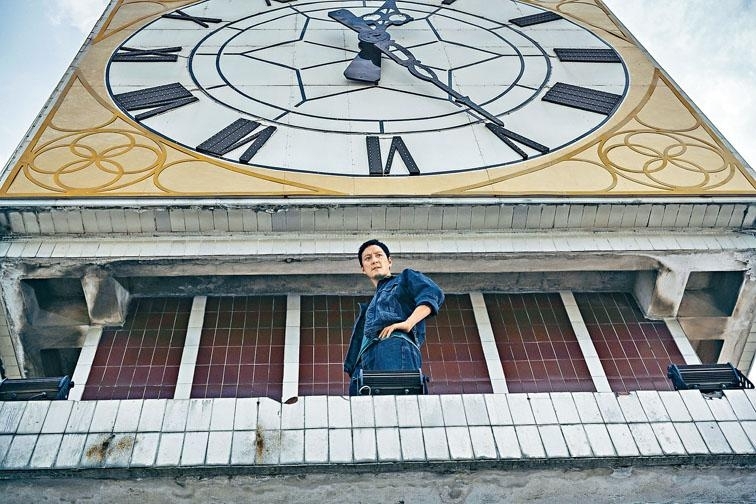 The team shot in 5 cities like Jiangmen and Zhongshan, each set was newly constructed or renovated. The shoot used 48 prop guns, 6243 blanks, 4312 reaction bullets. The crew pointed out that on the set everyday gunshots were deafening, just like a real robbery.